An anti-virus should prevent infections. But if an infection occurs, it should cure a system of the active malware programs that have already invaded it. That is why the most important indicator of the quality of an anti-virus application is not its ability to detect viruses, but its ability to cure them. Deleting an infected file that may contain important information is one thing, but restoring the file to its original, healthy state is entirely another. No anti-virus can, at the moment of attack, detect all malicious programs. However, only an anti-virus can cure a system of the active malicious programs that have already penetrated it. There is no need to cure a system prior to installing Dr.Web; this is due to the product’s unique technologies for scanning memory processes and its outstanding ability to neutralise active infections—even from external media without being installed in a system (for example, from a USB stick), and during the installation itself, it can even cure active threats. The integration of the installation package (the installer) with the updated Dr.Web Anti-rootkit can repel active threats and cure a PC as it is being installed, even if the computer is infected with sophisticated malware. Part of Dr.Web Anti-rootkit, the resident background scan subsystem searches for active threats among such critical Windows areas as start-up objects, running processes and modules, system object heuristics, RAM, MBR/VBR, and BIOS. Dr.Web is one of the few anti-viruses capable of detecting and neutralising viruses in RAM that never exist as files on disks. There are still few anti-viruses that can cure such viruses. Dr.Web is able to reliably detect packed malicious objects—regardless of whether Dr.Web recognises the compression format—and disassemble and analyse them in detail to expose hidden threats. Only Dr.Web can fully check archives at any nesting level. That means that the Dr.Web anti-virus will detect and neutralise a threat even if it has been compressed many times with various supported archiving programs. Unlike most of its competitors, Dr.Web can detect an infection in BIOS firmware, and starting with version 11.5—in UEFI firmware. 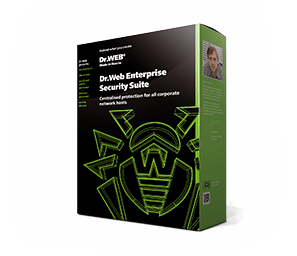 With the Dr.Web anti-virus you don’t have to additionally install anti-spyware software, anti-rootkits, and other similar programs.